Church is a Verb! The call of Christ is not passive. It’s active. It includes becoming a visible expression of God in the world. It consists of a group of people called to participate in God’s redemptive plan for humanity. Jesus calls his followers to a life of sacrificial service. Being the Body of Christ involves being committed to the mission of God for the sake of the world. With that said, one must note that being the church in a consumeristic society is particularly difficult. Countless congregations vividly reflect the consumer-driven culture of our age. 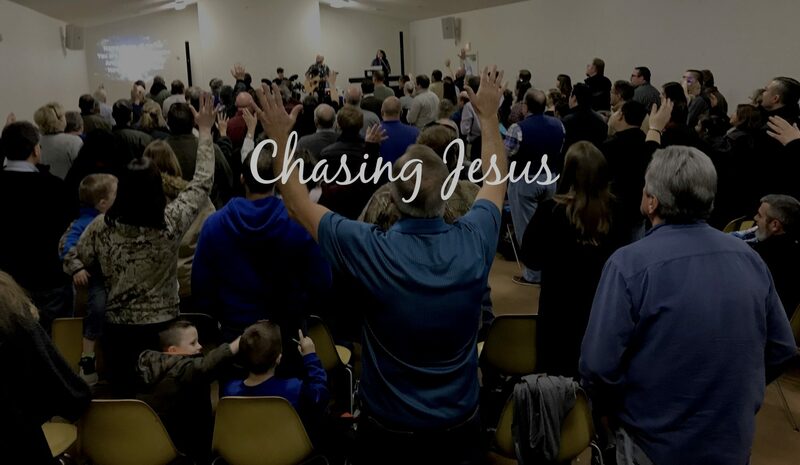 Because of this popular approach mission is often sacrificed for entertainment and churches frequently become nothing more than a marketplace of spiritual services where individuals get their needs met. Churches that do not strive to find a way out of this prevailing mindset, by default, become saturated in consumerism, which is a detriment to discipleship. Without a strategy, instead of intentional disciples, we create shoppers: individuals who want nothing more than to consume. As a pastor, I want to continually challenge my congregation to “think,” because we are what we think. I hope to push new ways of thinking through the doorway that God is opening. The mindset of Christ is the ultimate goal: a transformation process that is so profound, enormous, and astonishing that it changes the life of everybody we come in contact with. The church should represent a new way of functioning in the world that absolutely brings transformation to the community. A key component becomes helping people learn to think like authentic Christ-followers. Scripture teaches that as a person thinks in the heart, so is the person (Proverbs 23:7). The problem is too many people are not what they think they are. Then there are those who are controlled primarily by what they think others think they are. If people do not first discover that their true identity is only found “in Christ” and that they are abundantly loved children of God, they don’t stand a chance at discovering their purpose in the kingdom. The test of our authenticity in God’s eyes is found in how we express our love for one another. How we represent the kingdom in the local context is critical, because if we can’t do it well in the local church, we don’t have a chance in the world. For us to come to grips with the idea that the church is a contribution to society, we need to understand that the gospel is the “Good News” of reconciliation for everyone. Every person is invited to the table. God wants to rescue people from darkness and to transfer them to the kingdom of light. That is God’s desire, that he should lose none. That means that people do not have to earn a seat at the table; instead their seat has already been purchased by Christ. We are called to the ministry of reconciliation and it includes everybody. I do not want to stand before God one day and say, “I didn’t do anything!” In the end the question will not be, “How much have you obtained?” but “How much have you given?” Not “How much success have you achieved?” but “How much have you provided for others?” Not “How much have you saved?” but “How much have you sacrificed?” The missional mindset understands the church as a group of ambassadors who will not take no for an answer when it comes to serving the world. As the Body, our job is to create a culture of celebration that reflects the culture of heaven. Church needs to be a safe place for people to discover who they are: a place where they realize their dreams and learn to be more than they ever thought possible. As Christ’s Body, we help align people with God’s plan for their lives; we give them room to grow and make mistakes as we journey together. That takes being intentional and strategic in all that we do. There’s no time for consumerism. The call of Christ is a call to action. 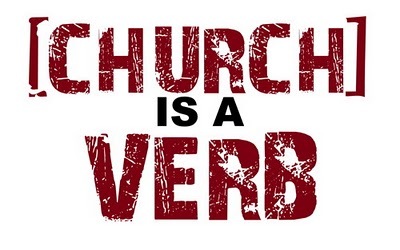 Church is a Verb! I would like to continue to receive your messages. I am 72 years old and I want the rest of my life to be filled with information that can make me a better person as well as a knowledgeable senior citizen learn more about the Lord’s love for me……Can this be arranged. I am on Facebook. My name is Rosey Swanson. My email address is trswanson1941@hotmail.com. Look foward to your reply. Blessings. Rosey, Pastor Brian is the person who helped me realize and prepare for my call to ministry. He gave me my first district license and dedicated Holly! 🙂 I will be sure to connect you with his blog!